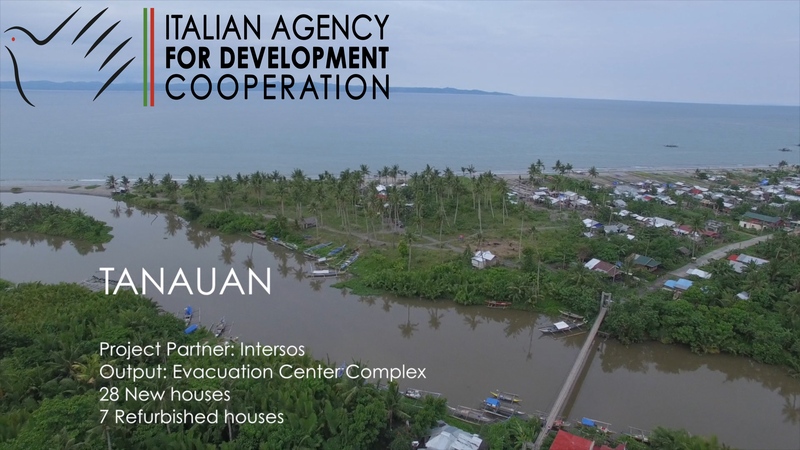 A few months ago, we were commissioned by the Italian Agency for Development Cooperation under Italian Embassy Manila to document their 3 post-Typhoon Yolanda projects in Philippines. The schedule was quite tight as we were contacted end of April, 2-week shoot between Iloilo, Tanauan and Guiuan and we have to deliver an initial draft for 3 videos after 6 days of editing. It was still worth it as the Italian Embassy (who funded the projects) gave us creative freedom on the documentaries and they even paid 30% up front so we can fund our flights, hotels and transportation. It was hectic but enjoyable as we get to travel and meet interesting farmers, teachers, architects/engineers, and families along the way. We learned how to plant using empty sacks (ActionAid), we learned some architectural feature of one of the evacuation center that would prevent strong winds blowing roofs away (InterSOS), we got to see a small school on top of a mountain (Dokita) and we also learned that planting and harvesting rice is a very tedious job and that rice farmers should be compensated more than what they are currently making and that we really shouldn’t waste rice!! We are very thankful for H.E. Ambassador Massimo Roscigno for trusting and giving us creative freedom to do these projects. This video is for ActionAid in Iloilo – they’ve donated hand tractors and rice threshers to farmers, provided guidance as well as taught them how to plant organic fruits and vegetables for them to be self-sustaining. This video is for InterSOS in Tanauan Leyte – they’ve built an emergency evacuation centre that can also be used as community hall; InterSOS has also built houses for beneficiaries. This video is for Dokita in Guiuan Eastern Samar – they’ve built an emergency evacuation centre that can also be used as classrooms, strengthened the structures of the school and provided emergency supplies for the community. Full Video of all 3 projects plus short interview with H.E. Ambassador Massimo Roscigno (with Italian subtitles).